With the country in the grip of economic malaise, and worried about her business, Maisie Dobbs is relieved to accept an apparently straightforward assignment from an old friend to investigate certain matters concerning a potential land purchase. Her inquiries take her to a picturesque village in Kent during the hop-picking season, but beneath its pastoral surface she finds evidence that something is amiss. Mysterious fires erupt in the village with alarming regularity, and a series of petty crimes suggests a darker criminal element at work. 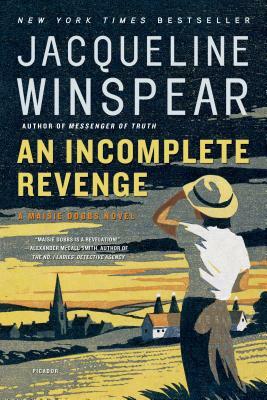 As Maisie discovers, the villagers are bitterly prejudiced against outsiders who flock to Kent at harvest time—even more troubling, they seem possessed by the legacy of a wartime Zeppelin raid. Maisie grows increasingly suspicious of a peculiar secrecy that shrouds the village, and ultimately she must draw on all her finely honed skills of detection to solve one of her most intriguing cases.